The northern region of India is festooned with some marvelous architectural wonders including wonderful forts and palaces. This 6- night and 7-day North India Forts and Palaces tour is the best as well as the shortest way to witness the gems of the Indian culture. 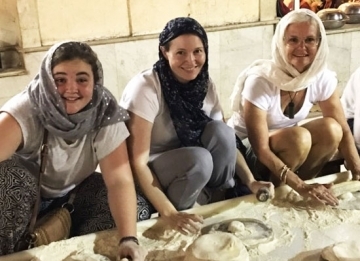 During this well-planned tour, you cover the sought-after Golden Triangle tour destinations of Delhi, Jaipur and Agra, some of the most well-known cities in the global circuit. Every city has to offer something distinct to tourists. Delhi is an amalgamation of every caste, religion, food, and monuments. While Agra is home to the Taj Mahal and other Mughal structures, Jaipur has numerous Rajputa palaces and forts. On your arrival at the Delhi Airport / Railway Station, meet our tour representative who helps you with an assisted transfer to the hotel. Complete the check-in formalities and rest for some time. Later, you are free to explore this potpourri of varied experiences, known to be the Capital of India. Delhi is an amazing mix of old-world charm and new-age wonders. The city boasts of being a mish-mash of all the cultures, offering a vibrant feel to its visitor. You can explore the place on your own. 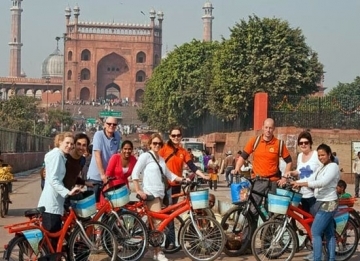 Today, post breakfast, get ready for a city tour covering the prime tourist attractions of Delhi. The attractions that you visit today include India Gate – the war memorial of martyrs that stands 42 m high, was formerly known as Kingsway with lush grounds around it that are ideal for picnics; Parliament House or Sansad Bhavan– the Government Headquarters set in a circular colonnaded building, which has ministerial offices, various committee rooms and an amazing library; Laxmi Narayan Temple – built in 1939, also known as Birla Mandir, it is dedicated to Lord Narayan and his consort Goddess Laxmi; World Heritage Site of Humayun's Tomb-erected in 1565 A.D. by the senior widow Emperor Humayun- Bega Begum, it is a magnificent Mughal architecture; Lotus Temple- also known as Baha'i house of worship, this beautiful lotus like structure was completed in 1986; World Heritage Site of Red Fort - the residence of India's Mughal emperor for around 200 years till 1857, this red stone structure is the venue of flag hoisting on the Independence day and the World Heritage Site of Qutab Minar Complex that houses a number of structure such as one of India's tallest minaret- Qutub Minar, Alai-Darwaza Gate and 2 mosques, including the oldest one in northern India- Quwwatu'l-Islam. After breakfast on the third day of the tour, hit the road to Jaipur, the Pink city. 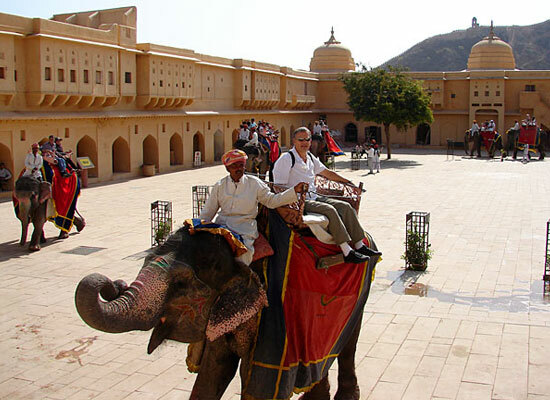 The largest and the capital city of Rajasthan state, Jaipur is its one of the most popular destinations. 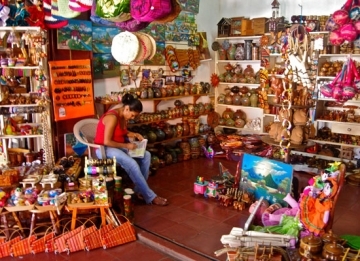 The city is dotted with several attractions and offers varied experiences. On arrival, check into the hotel. Get relax for a while. 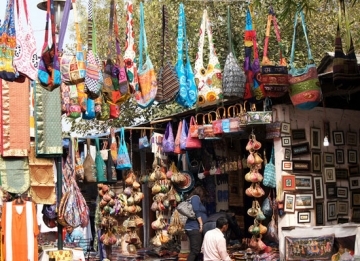 Afternoon can be spent visiting the colorful popular local market of Jaipur that are storehouses of some amazing stuff like precious and semi-precious stones, puppets, precious and semi-precious stones, traditional apparels, inlay work objects and much more. Spend the evening at Chokhi Dhani, a village-like setting offers memorable experiences such as bullock cart ride, mehendi, folk performances and more. 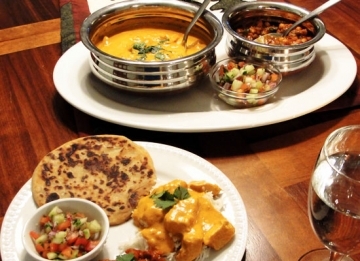 Enjoy royal Rajasthani dinner with cultural program. In the morning, visit Amber Fort or Amer Fort, one of the six Hills forts of Rajasthan that are listed in World Heritage Site. Located 11 km from the city center, it offers an elephant ride up to its entrance. 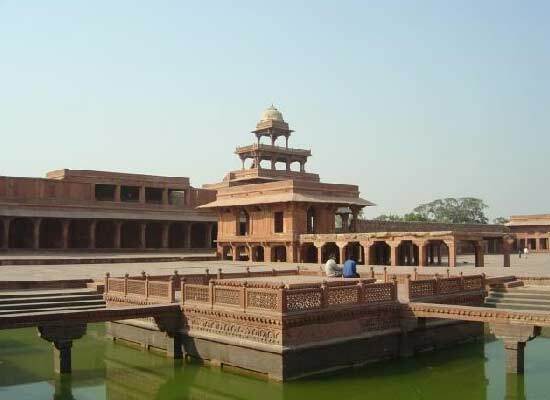 This magnificent red sandstone and marble structure was built in 1592 by Raja Man Singh. Later back to the hotel for breakfast. The afternoon is scheduled for a city tour covering City Palace- a colossal Rajput and Mughal structure with an array of gardens, courtyards and buildings including Chandra Mahal which is still the residence of the region's royal family. Next you visit the World Heritage Site Royal Observatory or Jantar Mantar – an astronomical observatory built in the first half of the 18th century by Rajput king Sawai Jai Singh. Today morning after breakfast drive to Agra, the Mughal City that is home to the world-renowned Taj Mahal and many other magnificent Mughal structures. On the way, visit another UNESCO World Heritage Site -Fatehpur Sikri, built by Mughal Emperor Akbar in 1569 to honor Sufi Saint Shaikh Salim Chisti and made it the capital of the Mughal Empire. Later continue your drive to Agra. Once you arrive, check-in at the hotel. After lunch, visit the world heritage site Taj Mahal, which is also one of the Seven Wonders of the World. 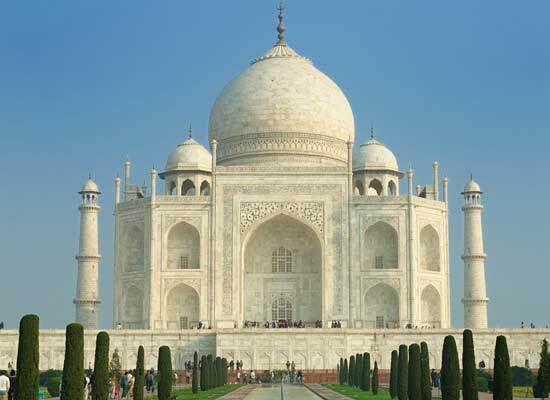 Constructed by the Mughal Emperor Shah Jahan in the memory of his beloved wife Mumtaz Mahal, it took 22 years to get completed. Next visit is to the Agra Fort, built during 16th century. This colossal structure is a mix of red sandstone part made by Emperor Akbar and marble part built by Shah Jahan and other additions by Emperor Aurangzeb. Post breakfast on 6th day, start the road journey back for Delhi. On the way, halt for visiting Sikandra, the Tomb of Akbar that was built between 1605 and 1613. 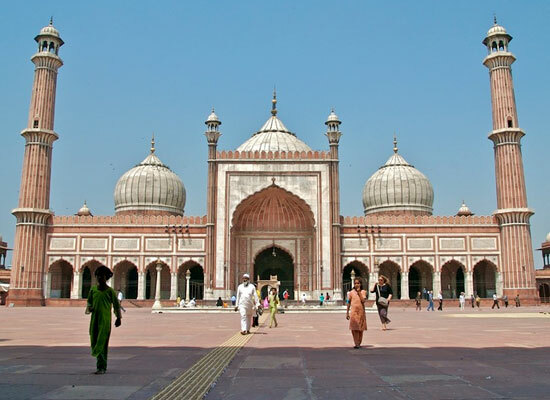 As per Tartary tradition, Akbar started the construction of this tomb during his own lifetime. After his death, his son Jahangir completed the construction. Later your drive to Delhi. On arrival, check into the hotel. 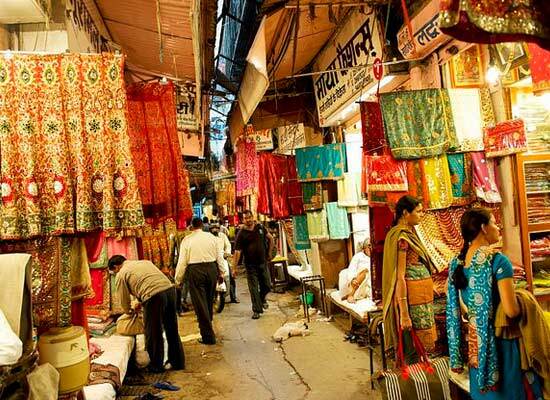 The evening is booked for shopping at the popular markets of Delhi. 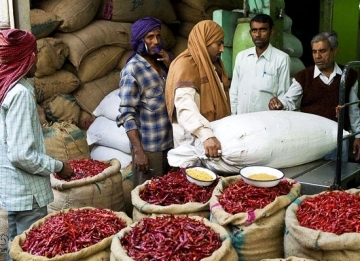 Delhi markets sells. Get an assisted transfer to the airport to catch a flight to your home destination.